Rene Fuentes played basketball for Mansfeld and plans on continuing at Pueblo High. His favorite class is social studies, but Rene also wants to join the military after Pueblo. 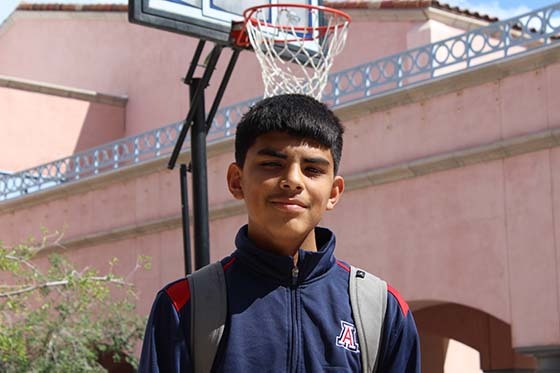 His ultimate goal is to join the Marines if he doesn't make the University of Arizona basketball team while in college. He is currently taking some time away from the project to focus on school. Because of his love for basketball, Rene's favorite movie is Coach Carter.